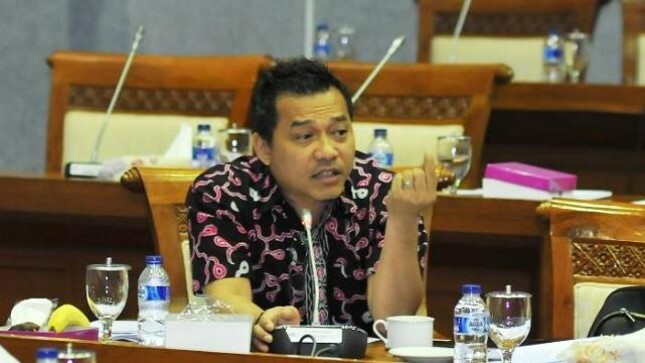 INDUSTRY.co.id - Jakarta - Member of House of Representatives Commission X Anang Hermansyah mengemukajan, Memorial Day National Education every May 2 should be a momentum for the government to serious attention to education in the creative sector. "Because this sector has great potential in contributing to the national economy," said Anang Hermansyah in a statement in Jakarta on Wednesday (2/5/2018), related to National Education Day 2 May 2018. Members of the PAN faction said in the advancement of the creative economy sector (ekraf) in Indonesia should be supported by adequate education and knowledge. With the basis of accelerated education in the creative sector will be faster. "The research data of Ekraf and BPS in 2015 revealed that the number of workers in the sector of predominantly high school graduates is 57.20 percent and 36.10 percent of junior high school graduates are low, only 6.7 percent of workers in the education sector are educated upwards," said Anang. In addition, said Anang, in the research also revealed, the majority of workers in the creative economy dominated by labor force type "blue collar" which consists of sales force, service business, labor production and crude workers 92.19 percent. "Only 7.8 percent of workers in the creative economy are categorized as 'white collar' who are professionals, technicians and personnel in accordance with their fields," said Anang, a parliamentary politician from DapIl IV (jember and Lumajang. Musicians from Jember is also exemplify the problems that occur in the national film industry called potentially experiencing a crisis of professional workers. According to him, information obtained from film workers, during 2018 is estimated as much as 150 film production that each film requires an average of 120 workers. "Film worker Joko Anwar said that if there are 12 films in one month, it will take 1,400 film crews, the problem is that the availability of film crew is not enough," said Anang. The situation is one example of the problems that arise in the creative economy sector related to the strengthening of human resources. He emphasized that the government should consider the strengthening of human resources in the creative sector if it is to seriously work on this sector. "So inevitably, the government must make a breakthrough by working seriously education in the creative field," said Anang. In addition, the education sector will be correlated to the resulting creative quality. He believes, if educational investment in the creative sector can be worked out so the development of creative economy in the country wills increase. "It should be noted also, this creative sector education should also be distributed throughout Indonesia by adjusting the characteristics of each region," said Anang.